We didn’t do craft in 2013. In 2014; there is a new me. The new me is very aware of how much Chatterbox loves to craft, and also how much I used to love doing Origami. So this year; KiddyCharts will do craft. In fact, we are making every effort to try and do something regularly. I can’t commit to being a Red Ted Art or an In the Playroom; in fact, no matter how hard I tried, I am fairly sure that both those lovely ladies are way better at this sort of thing. However, they don’t have what I have; Chatterbox as inspiration. 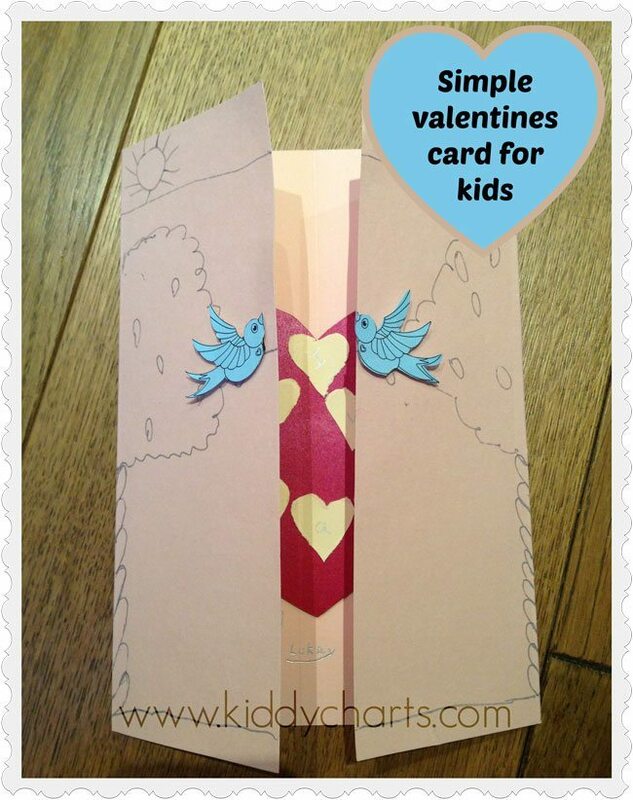 Our first craft project of 2014; is this lovely Valentines card for kids. We chatted about the design together, and Chatterbox made it herself, with minimal guidance from me. There are valentines card templates for all the fiddly pictures on there, including the lovebirds, and the big and small heart. 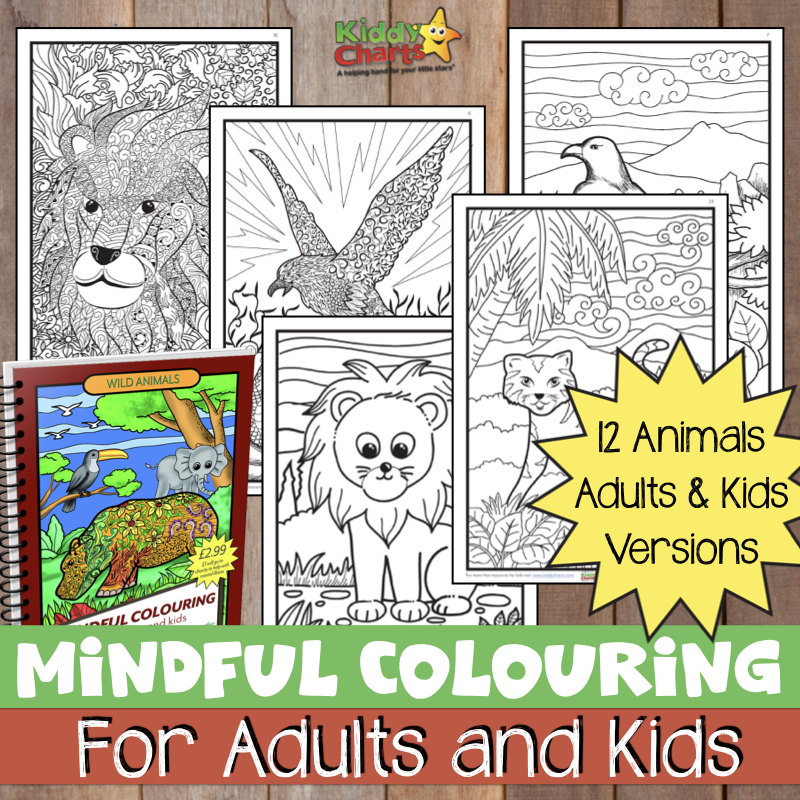 Hopefully, this will make the project easy for you to do as well. Cut out your love birds; raise them from the card using a foam square and glue on the branch opposite each other…making sure their beaks touch when you close the card. Ah, kissing ;-) My daughter did this herself, so below they are slightly out…adds to her charm though don’t you think? Step back and admire your handywork. Easy right? If we can do it, so can you. Any problems though, do contact us. If you are after further Valentines Cards for Kids, then do nip over to my Pinterest Account; follow me and the board we have there for Valentines Day crafts. 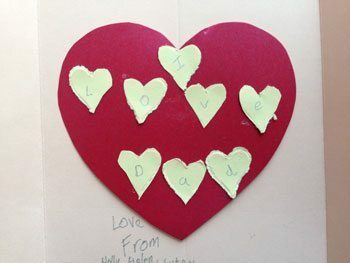 Follow Helen Neale (KiddyCharts)’s board Love Valentines with kids on Pinterest. This is a nice way to make card , I will surely be trying it . Thanks for sharing this methos . hahah at including me in the same sentence as maggy! I try my best but I am actually rubbish at crafts! I think your cards look great :D look forward to seeing more craft posts from you in the future! I absolutely LOVE how simple these are to make! So cute too!